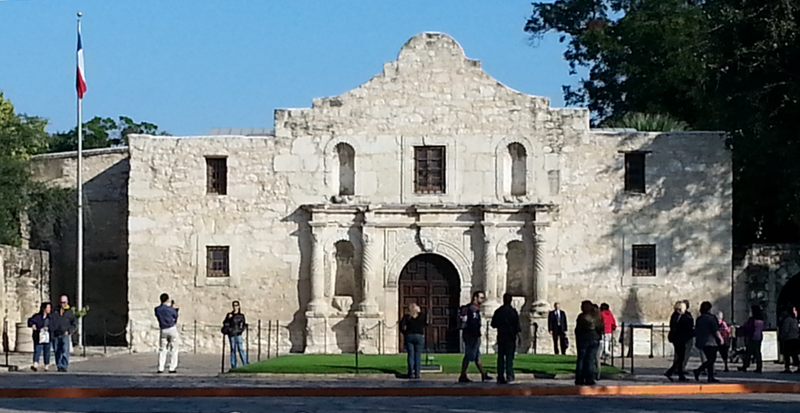 I have business in San Antonio on Wed & Thur and the airfare on Airtran was only $350 so Connie went along. I had been to San Antonio sever times and had visisted the River Walk and walked around the Alamo (it was closed in the evenings when I had been there before). So Connie went along this time. We flew out of Akron-Canton at 6:10 AM and arrived in San Antonio about 11:30 AM. It was too early to check into the hotel so we went downtown. We toured the Alamo and then walked the loop at the River Walk. We stopped for some seafood nachos and then headed back to the hotel and crashed.